2. Fill out enrollment packet! *Registration fee for active military will be waived in gratitude for your service. ½ off registration for new families who enroll before August 13! Enrollment is year-round based on availability. Enrollment is first come basis. Waiting lists available if necessary. No, your child does not have to be toilet trained before admittance to Storybook Preschool. Yes! Contact us for further information. Full day children get rest time every day after lunch. Does Storybook Preschool provide meals? Storybook provides an AM and PM snack. Parents/Guardians are to provide lunch daily. Does Storybook Preschool offer Cal Works and GAIN funded programs? We accept the GAIN and RCOE funded programs, and are now accepting CalWORKS! What ages are at Storybook Preschool? 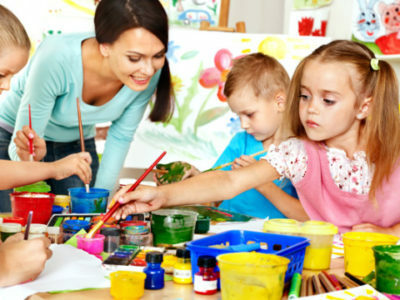 We are licensed for children from two to six years of age here at Storybook Preschool. Does Storybook Preschool offer flexible scheduling? Yes. Parents can choose specific days they would like their child to attend preschool, and can add days if needed if we know in advance and based on availability. Why will people send their child to Storybook? Because they love them. Because they want the best for them. Because they want to give their child every opportunity to be successful.